Walking tour adventures lead by born & raised local guides that include food & drinks while focusing on the local community. Be Part of San Francisco. The Original San Francisco Native Tour is the first tour we designed. This adventure weaves you through the heart of San Francisco. From the city's earliest history to the vibrant neighborhoods we have today, see the city through a local's perspective. We cover over half a dozen neighborhoods, enjoy several included amenities, interact with the community, and even contribute our personal family history and secrets. Description: This tour is designed to cover major neighborhoods in San Francisco. On this tour we cover a lot of the city's history and sample cuisines from multiple cultures. This tour is for those who want to see, learn, taste, and experience the core of San Francisco from a local perspective. 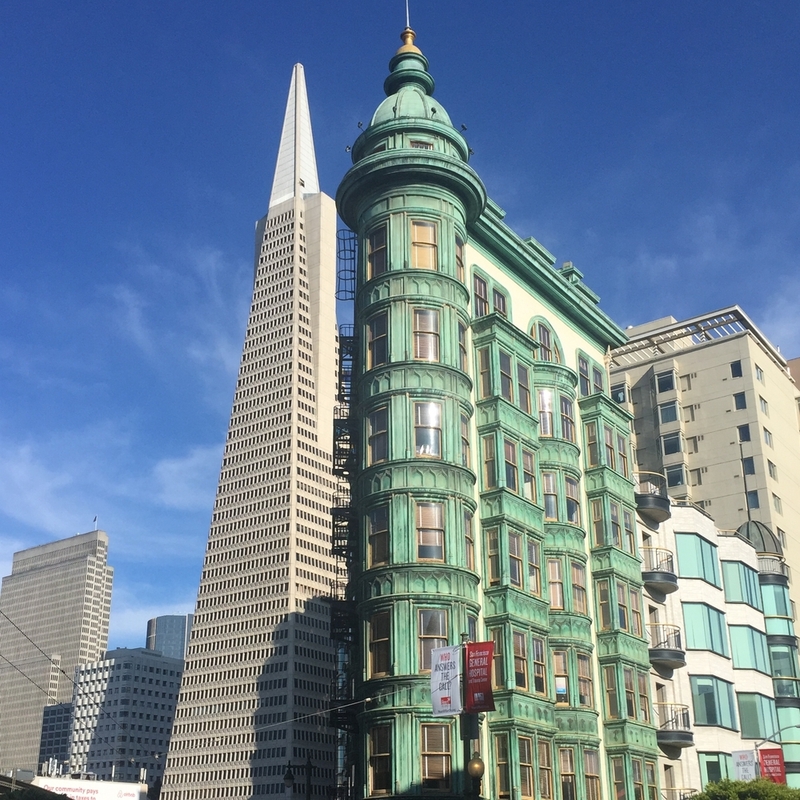 Designed For: We designed this tour for those who want to see and learn about San Francisco's most prominent districts. We suggest this tour for those visiting San Francisco or those interested in the city's history and famous landmarks. Suggestions: Wear good walking shoes - Stay hydrated - Bring a light jacket - Samples are included, although we suggest you eat first - Bring a hat or sunscreen - Be ready to explore! Tell your guide of any diet restrictions; we can accommodate! Still have a question? You can contact us here! Thank you for reaching out to San Francisco Native Tours. We will respond to your question soon! We meet in front of this fountain at Transamerica Redwood Park.